Texas-based classic rockers SCORPION CHILD have released a video for the track "Polygon Of Eyes", from the band's self-titled debut album. The CD landed at position No. 26 on the Top New Artist Albums (Heatseekers) chart. Check out the video right HERE. 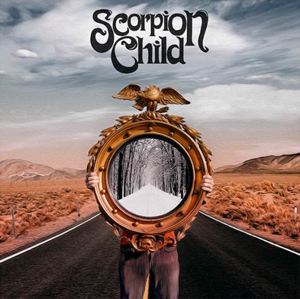 Scorpion Child was released on June 25 via Nuclear Blast Entertainment. Produced and arranged by Chris "Frenchie" Smith (THE ANSWER, ...AND YOU WILL KNOW US BY THE TRAIL OF DEAD, THE TOADIES, DAX RIGGS), the CD was recorded using analog recording technology. Fresh off the Rockstar Energy Drink Mayhem Festival tour, SCORPION CHILD is set to head out on a headlining trek this September/October with direct support from labelmates KADAVAR from Germany, plus GYPSYHAWK, WILSON, and MOTHERSHIP. "In The Arms Of Ecstasy"
"Red Blood (The River Flows)"